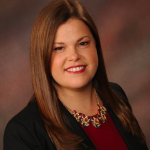 Kim Polacek, APR, works in strategic communications for Moffitt Cancer Center. 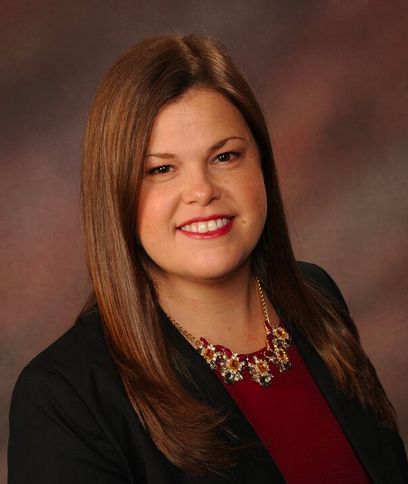 She currently serves as FPRA Tampa Bay’s Image Chair, and was recently installed as president-elect. She talked about why she first joined FPRA, her first experience with Image Awards, and why FPRA’s greatest asset is its membership. I joined FPRA with a gentle nudge from my former boss, who happened to be President of the Tampa Bay Chapter at the time. She stressed the importance of professional development and interacting with my peers, as I will still relatively new to the PR profession. What’s been the best benefit or most meaningful aspect of FPRA membership? The biggest benefit of FPRA is its membership. FPRA members are the most genuine and welcoming PR professionals you will find. I never hesitate to call someone from my chapter, another chapter or even the state board if I have a question or need help with a project I am working on. It really is a supportive group! For people who are just starting their career or looking to interact with other PR professionals, FPRA is a valuable resource. The connections you make through your local chapter and attending annual conference will make a lasting impact on your career. FPRA members are willing to answer your calls and emails to help you succeed! What’s your fondest memory or achievement as an FPRA member? My fondest memory of FPRA is through Image Awards. I was urged by a member to submit one of my campaigns for an award in 2013. I had no idea what I was doing. I entered at the very last minute. To my surprise, I won a local Image Award and Grand All Image Award and went on to win a Golden Image Award. It was a rewarding experience and sparked me to volunteer for the Image Award committee for the Tampa Bay Chapter the following year. Why is it important to remain active in FPRA? It is important to remain active in FPRA to stay on top of the latest trends and tools in public relations. From the local chapter to the state level, professional development events and webinars are offered to keep you at the top of your game. Plus you’ll get to meet and interact with some amazing professionals. This year, we’re asking FPRA Tampa Bay members to share their stories about why they first joined FPRA and what their experiences as members have been like for #MyFPRA. So stay tuned! We’ll be featuring more #MyFPRA stories from members throughout our Association. If you have a #MyFPRA story to share, email our VP of Communications Martha Monfried.